To support research that will enable us to understand the key success factors for entrepreneurial ventures, translate these into long-term sustainability and growth for these important enterprises, and to make this information available to the new venture community. To afford our students the opportunity to gain invaluable business venturing experience. We believe that no one should graduate from Smith School of Business without having been exposed to leading edge thinking and practice in the entrepreneurial context. In the end, we’re not just teaching people to be entrepreneurs. For Venture Financing, we invite companies to participate in the TriColour Venture Fund program where MBA students evaluate your business as a potential for venture investment. Participating companies will be eligible for up to $150,000 in funding along with access to the Centre's network of angel investors and venture capital organizations. The Centre will also work with you to secure government funding to complement private equity investments. The “Dare to Dream” internships are the latest additions to a slate of programs at Smith School of Business, designed to encourage and help entrepreneurs launch their new ventures. These internships are specifically focused on providing critical resources to help School of Business graduates turn their new venture business plans into reality. Queen’s Venture Network is a new initiative platform for Alumni, Students and Passionate Entrepreneurs that provides members with an enhanced opportunity to connect and network with one another. The Centre for Business Venturing is an active partner in four major student events, including: the Paul and Tom Kinnear Business Plan Competition; Queen’s Entrepreneurship Competition; Queen’s Innovation Summit; and Queen’s Summer Innovation Initiative. As an entrepreneur, investor, funding agency, or a new venture subject area expert, you can get involved with the Centre's community in helping young entrepreneurs succeed in bringing their ideas to reality. The best people to think outside the box are the ones who haven’t learned the rules of the box! Bringing in young entrepreneurial talent into your organizations can inspire fresh thinking about the fundamentals of your business. 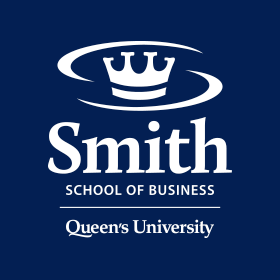 At both the undergrad and MBA level, the Smith School of Business has entrepreneurial students involved in business plan competitions, case competitions, and the TriColour Venture Fund. In both the undergraduate and MBA levels, there are several academic courses relating to the business planning, marketing, and management of new enterprises. You can participate in a live case study session where students, organize into teams, analyze your business and present different plans to help grow and sustain your new venture. It’s a great opportunity to have young fresh minds look at your business and apply out-of-the-box thinking. Our business students are involved with several new venture opportunities, either starting their own companies or engaging in start-ups. There is an opportunity to invest in these student-based start-ups through the Dare to Dream Internships and Business Plan Competitions. The Queen’s TriColour Venture Fund also seeks to invest up to $150,000 annually in new ventures as part of a syndicate of investors. Our talented entrepreneurial students are actively participating in business plan competitions. Contact us to be a judge for the Paul and Tom Kinnear Business Plan Competition, Queen’s Entrepreneurship Competition, or to help guide and coach our students for other Business Plan Competitions.